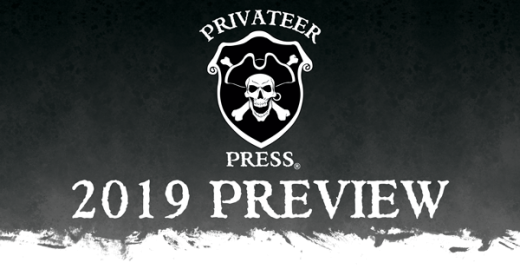 Privateer Press spricht über die Zukunft – ein Blick ins Jahr 2019. 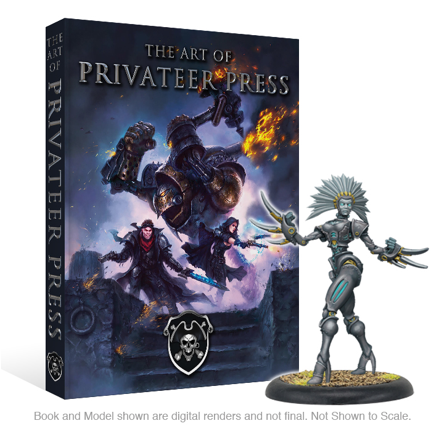 Many of you have been asking for it for years, and we’re finally going to make it: a glorious tome featuring the artwork of the Privateer Press worlds. 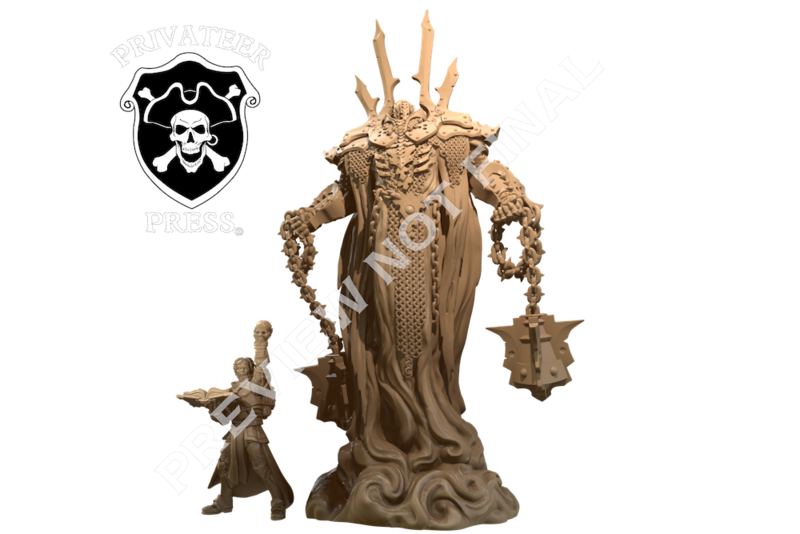 With an archive of artwork nearly 20 years in the making, The Art of Privateer Press will feature the best of the images from WARMACHINE, HORDES, the Iron Kingdoms Full Metal Fantasy, Monsterpocalypse, LEVEL 7, and more. 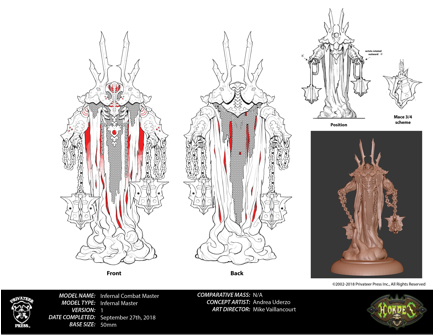 Since art books aren’t a standard item offered through the game industry distribution channel, we’ll be using Kickstarter to launch this project, complete with exciting stretch goals, opportunities to get more content and extras, and even the first chance to get your hands on a character model—the Iron Maiden—from the upcoming Riot Quest miniatures game (more on Riot Quest below). Watch for more information in the weeks ahead as we get ready to push the button on this long-awaited project in the middle of January. Announced at Lock & Load earlier this year, the next Faction to enter the fray in WARMACHINE and HORDES will be the dreaded otherworldly Infernals, who have come to claim the debt humanity owes them for receiving the gift of magic that helped free mankind from its Orgoth oppressors. While staved off by the Wicked Harvest, the Infernals have not been deterred, and this summer they’ll invade the Iron Kingdoms in full force, bent on reaping the souls of two-thirds of humanity. 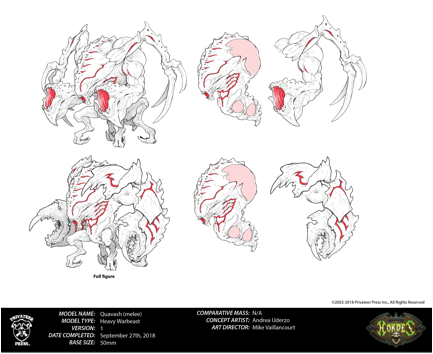 With the power to summon their beasts and warriors right into combat from their own Infernal plane, nothing like these creatures has ever been seen on the battlefields of the Iron Kingdoms before. No nation will pass unscathed, and ancient enemies will become the most unlikely allies when the Infernals come to claim what’s due. 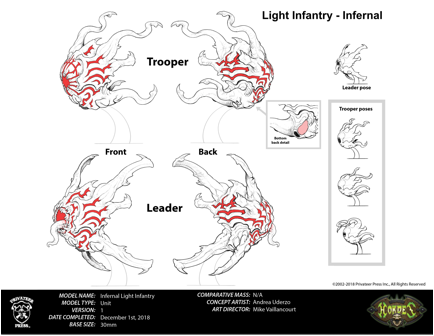 Releasing in July, the Infernals will comprise a complete Faction with a host of new model types and unique mechanics that make Infernals one of the scariest things ever to take the tabletop. 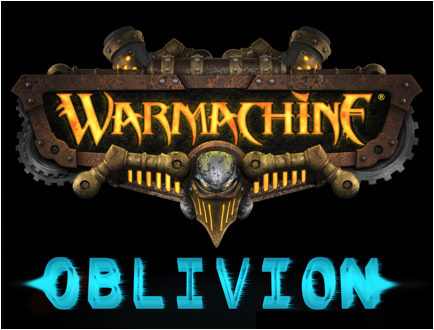 Following the release of the Infernals Faction is WARMACHINE: OBLIVION, which takes us into the dark heart of the Infernal apocalypse known as “The Claiming.” Oblivion will contain a lengthy, multiplayer campaign for WARMACHINE and HORDES that portrays the plight of humanity and its allies in their fight against the Infernals. 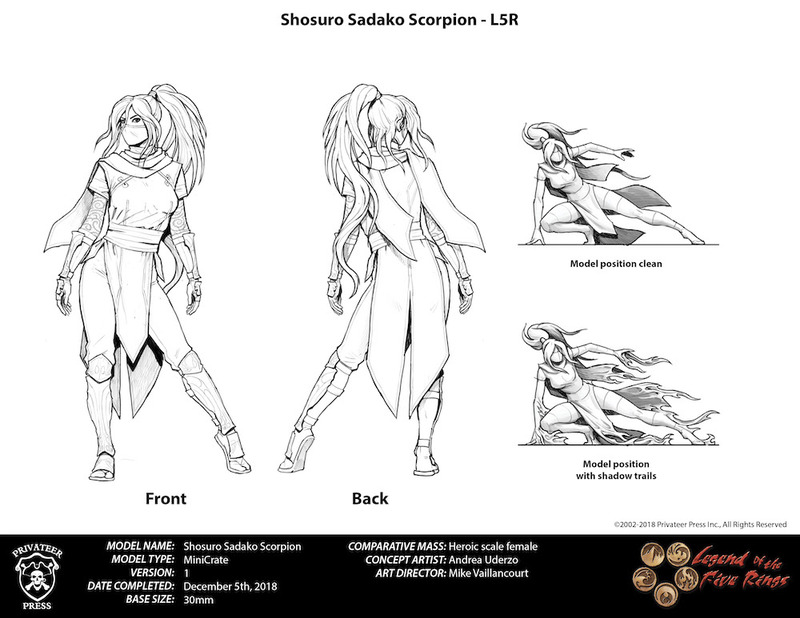 The campaign will support multiple players through a series of story-filled scenarios that are played at a variety of sizes, from Company of Iron skirmishes to full-blown battles, each one impacting your next battle to come. 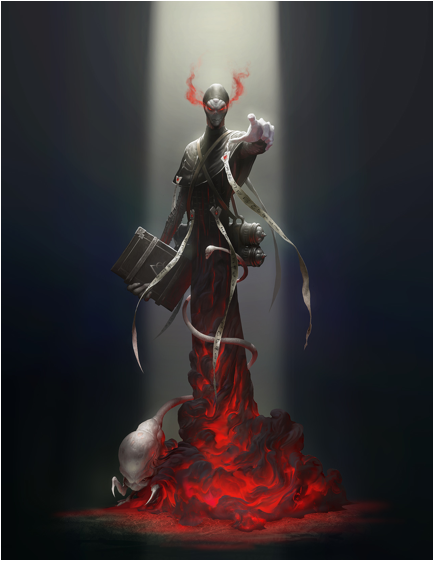 In addition to background and stats for Infernals, Oblivion will also detail new models, including the Order of Illumination—Morrowan demon hunters determined to strike back at the heart of the Infernals—and Archons, supernatural champions sent into battle by the gods themselves. 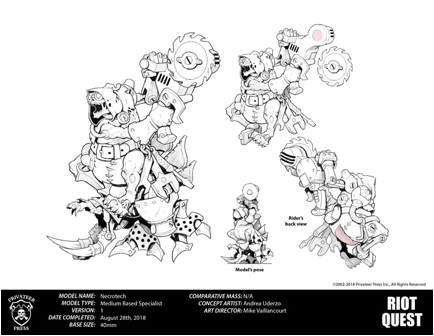 Every Faction in WARMACHINE and HORDES, whether a human nation, an ally of humans, an enemy of mankind, or just opportunists ready to rake in the chips where they fall, will be able to incorporate something from the pages of Oblivion into their armies. The fate of humanity is darkly uncertain, but one thing you can be sure of is that WARMACHINE & HORDES will never be the same. Even as the Earth trembles under the rise of the latest Monsterpocalypse, unexpected terrors are about to descend upon the cities of our world. 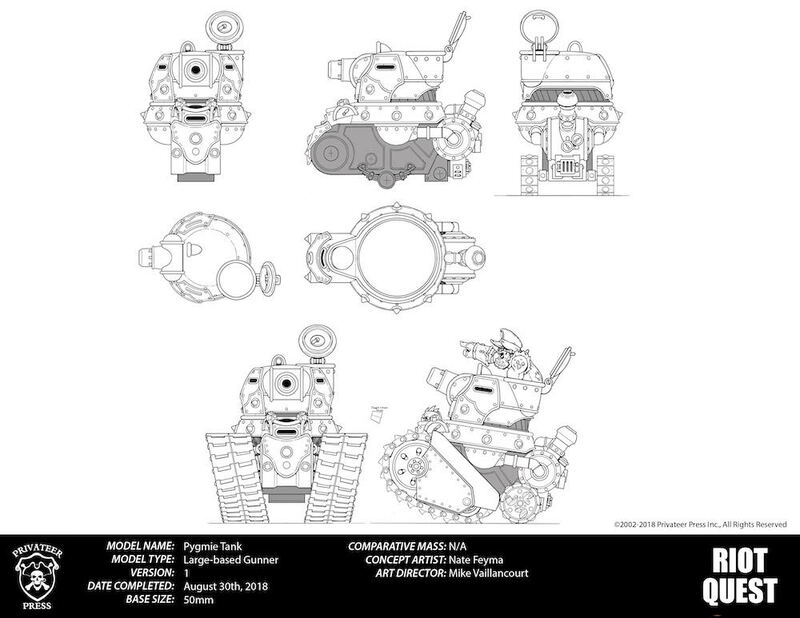 Following the Q1 releases that will flesh out the first wave of Monsterpocalypse factions and include buildings like the G.U.A.R.D. Defense Base, Shadow Sun Industries, and Lords of Cthul Void Gate comes a rampaging horde of new monsters and units. 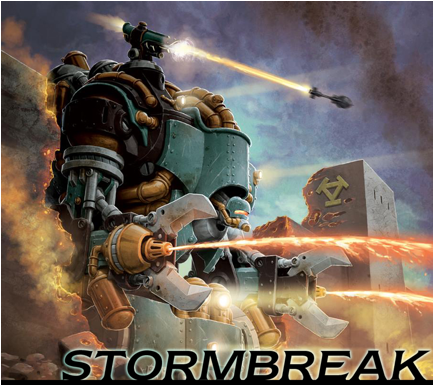 First, Krakenoctus of the Tritons (Protectors) and Hammerklak Korvissik of the Subterran Uprising (Destroyers) will arrive to reinforce their respective agendas. Then, along with faction-related units, King Kondo of the Empire of the Apes (Protectors) and Ghorghadratron of Uber Corp International (Destroyers) will join the battles, bringing their very own strategies and tactics to each of their agendas. 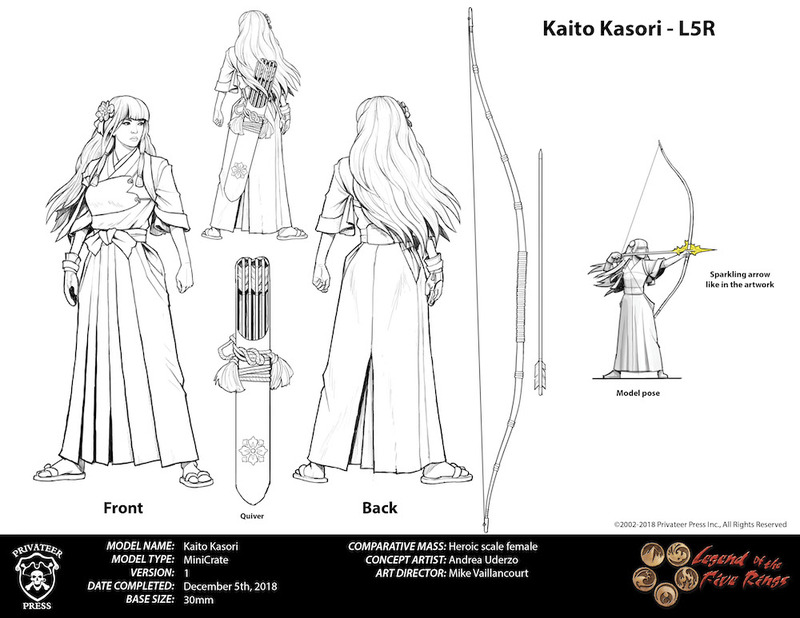 New bases will also accompany these factions, as will all-new monument buildings, including the Imperial State Building, the Tokyo Triumph, and, of course, the Statue of Liberty. But that’s not all—we’ll be adding the yummiest building yet to the next wave of Crush Hour tournament kits, and we’ll be offering new and existing maps in the form of gorgeous fabric play mats. 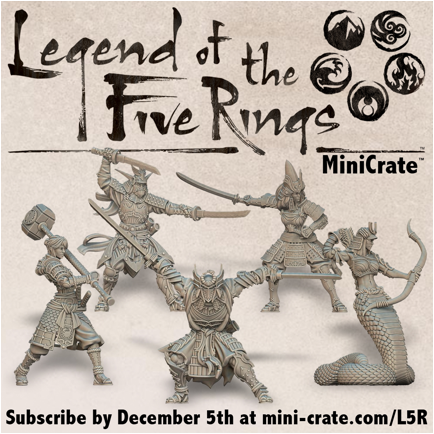 The MiniCrate monthly subscription service expands in 2019, delivering great honor in small packages with the Legend of the Five Rings series beginning in January. Subscribe here to get them delivered to your mailbox before the current mini is gone forever. And if you go in on a VIP subscription in the first six months, you’ll also get the VIP-exclusive Naga Huntress in your first shipment. Meanwhile, the WARMACHINE & HORDES MiniCrate series continues with more surprise reinterpretations of your favorite characters from the Iron Kingdoms. 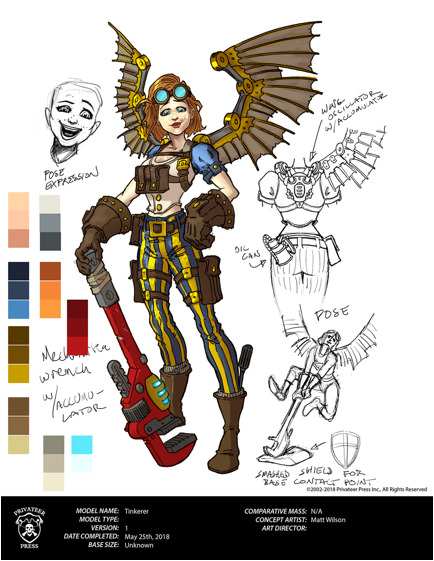 Next year will bring us Harlequin Versh, a version of Dr. Arkadius like you’ve never see her before, a vision of Asphyxious before he faithfully plunged into a volcano for the Dragonfather, and many more fantastic reinterpretations of WARMACHINE & HORDES icons. 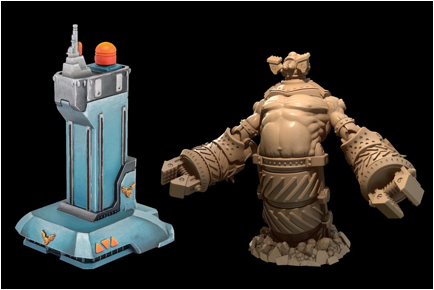 Announced at Lock & Load 2018, Riot Quest is the next all-new game from Privateer Press. Set in a “possible future” of the Iron Kingdoms, Riot Quest is a super-fast action skirmish game where players go head-to-head for piles and piles of shiny loot. Players assemble a small crew of up to 10 trigger-happy, fortune-hunting mercenary characters along with an arsenal of insane gear that can be equipped during the course of a battle. 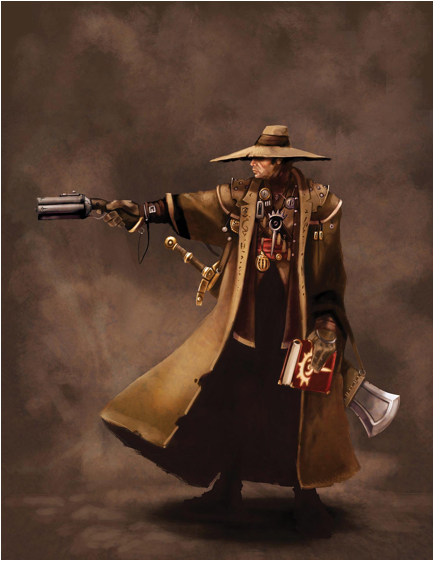 Fielding just four models at a time, players scramble across a hex map in pursuit of treasure while racking up bounty payments by completing tasks from an ever-changing menu of objectives. The result is a hilarious and chaotic brawl that 2–4 players can knock out in about 30–40 minutes. 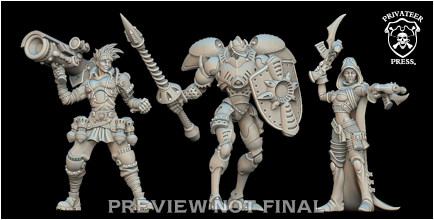 Best of all, you’ll be able to use your Riot Quest models in WARMACHINE and HORDES, and though some of the faces of Riot Quest characters might seem familiar, each one of them is a new model that has never been seen on any tabletop before. Get ready to “Wreck Face and Get Paid” next fall! It’s a lot to take in, and that’s not even everything! We’ve got Lock & Load 2019 coming up with an all-new Iron Gauntlet table sporting some Infernal nastiness, killer exclusives, more Get Your Paint On! and Weekly Rumble streams, the ongoing “Fire and the Forge” history of the Iron Kingdoms series, and more. Keep watching the Insider for more updates on these upcoming projects, and happy holidays to you and yours as we bid adieu to this year and charge forward into an exciting 2019! Können die sich ihre bisherigen Illustratoren nicht mehr leisten? Ich sehe nur den Vulcan (großer Flammenwerfer-Jack), den Infernal (Schlanker Dämon) und den Versh (Hexenjäger) als Illustrationen. Und die sind so wie die Illus eben immer sind, wenn auch der Versh und der Infernal schon ältere sind, wenn ich mich nicht täusche. 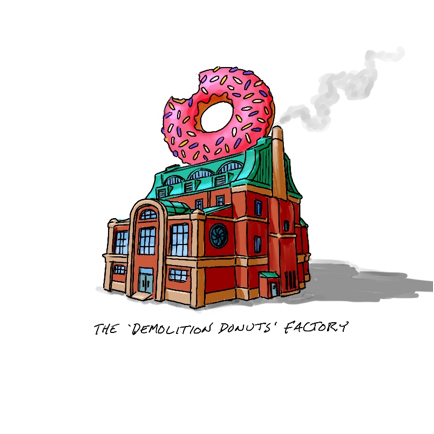 Der Donutstand ist mehr ne Comichafte Skizze als ne Illu, aber das passt ja zu MoPoc. Alles andere sind die üblichen Designzeichnungen vom einem der Stammzeichner (Andrea Uderzo), der ganz sicher weder „Neu bei PP“ noch „billig“ ist. Postapoc in ner Fantasywelt ist mal was Neues. Also, zumindest mir. Wieso lol? Oben bei Riot Quest steht doch „…in Post-Apocalyptic Iron Kingdoms“. Bis jetzt kannte ich Post-Apoc nur auf der Erde. In einer fiktiven Welt kam mir das noch nicht unter. Ok, End Times von WHFB vielleicht….na gut, ein kleines löl vielleicht…. Ich freue mich unendlich über die Ankündigung des Artbook Kickstarters! Ich hoffe, dass das ein richtig dickes Buch wird (wie auf dem Promobild). Die haben so viel krass gute Artworks über ihre diversen Publikationen im Umlauf, die besten gesammelt in eime Band wäre der Hammer! Das Artbook ist auch das was mich von allen Ankündigungen am meisten interessiert. Ich hätte lieber ein lore kompendium.